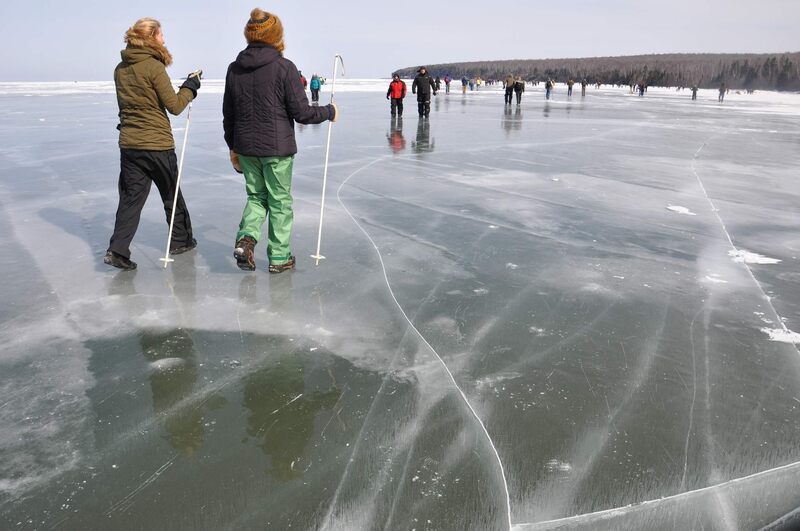 More than 11,000 people traveled to the far reaches of chilly Wisconsin this weekend, trekking for miles down a road and across the treacherous ice of Lake Superior. 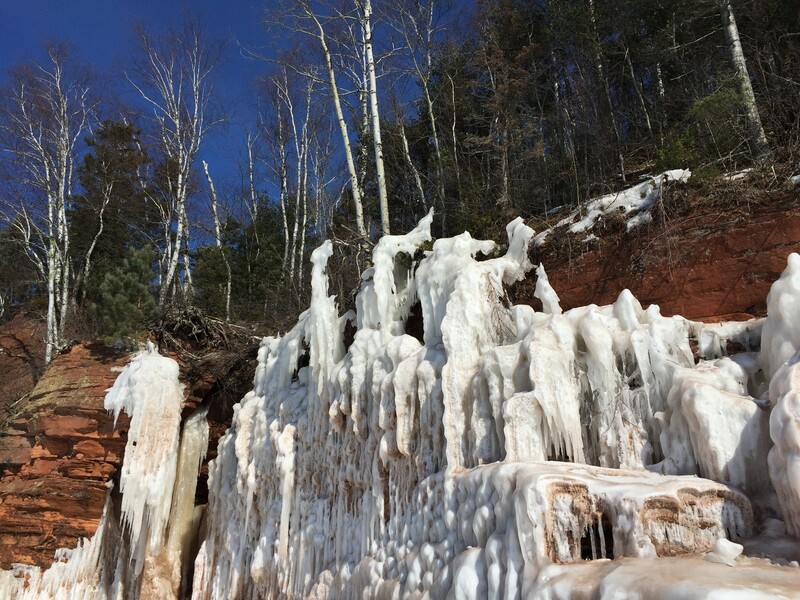 It was all for a glimpse of the jaw-dropping ice caves at the Apostle Islands National Lakeshore. 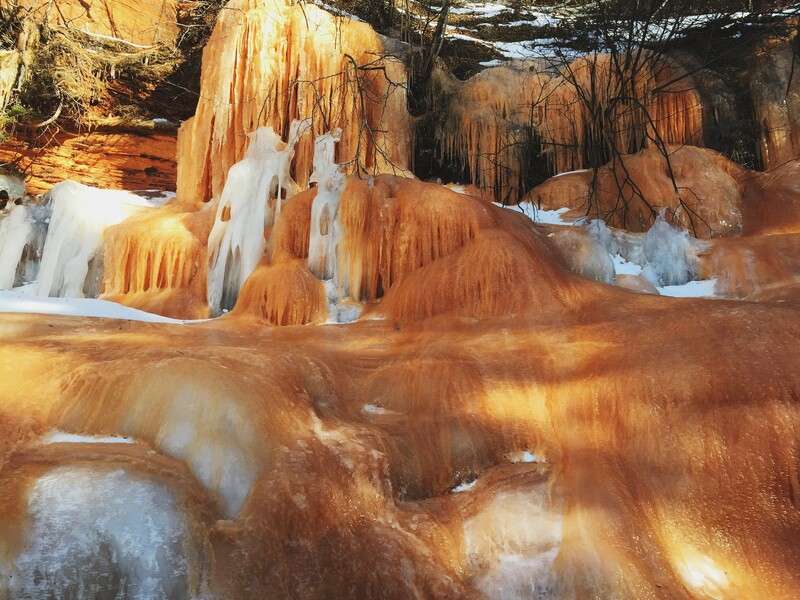 After monitoring ice thickness and weather conditions all season, the National Park Service decided that the route to the sea caves was sufficiently low-risk enough to re-open to the public on Saturday. 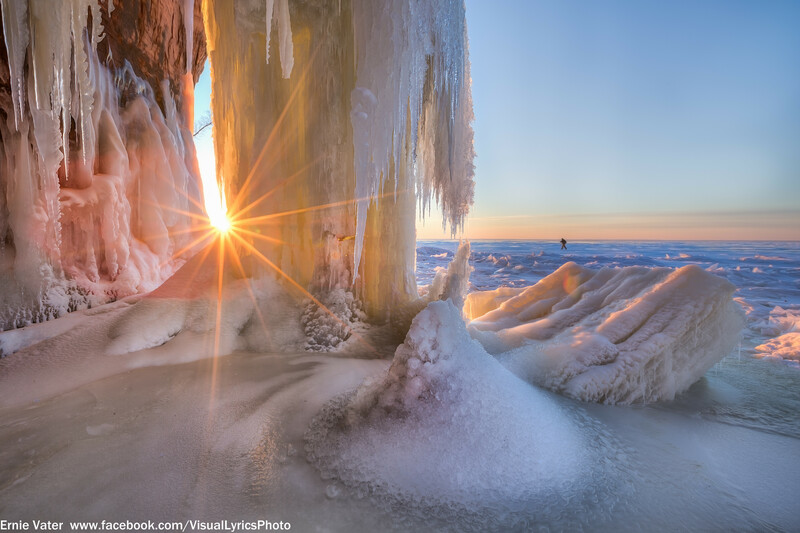 The announcement caused excitement among nature enthusiasts and photographers waiting for a winter chance to explore along the shore in Bayfield, Wisconsin. Over hundreds of years, wave action has sculpted sandstone caves with “delicate arches, vaulted chambers, and honeycombed passageways” in the cliffs along the mainland and two islands; though the caves are viewable by boat or kayak in the summer, in winter they're especially a sight to see, transformed by looming and delicate ice formations. 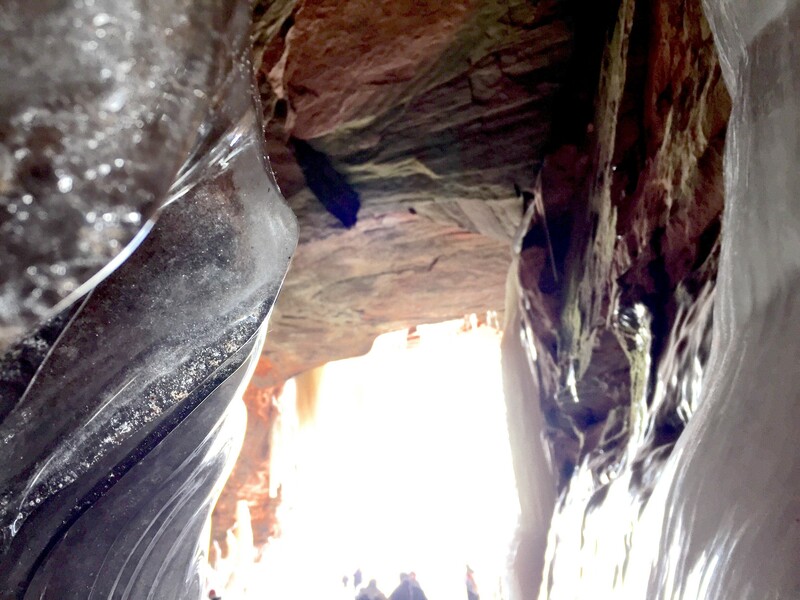 Last winter was the first time the ice caves had been open in five years, and almost 140,000 people made the trek, compared to under 9,000 in 2009. Staff at the remote park were not prepared for the unprecedented crowds that showed up last year, in part fueled by the spread of images on social media. 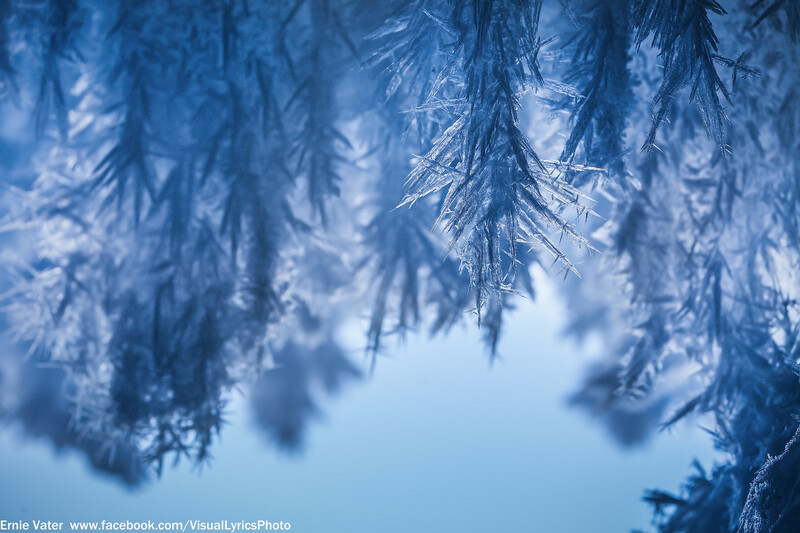 However, according to the Duluth News Tribune, staff was more prepared this year, answering questions, dealing with crowds and handling emergencies related to people slipping on the ice. 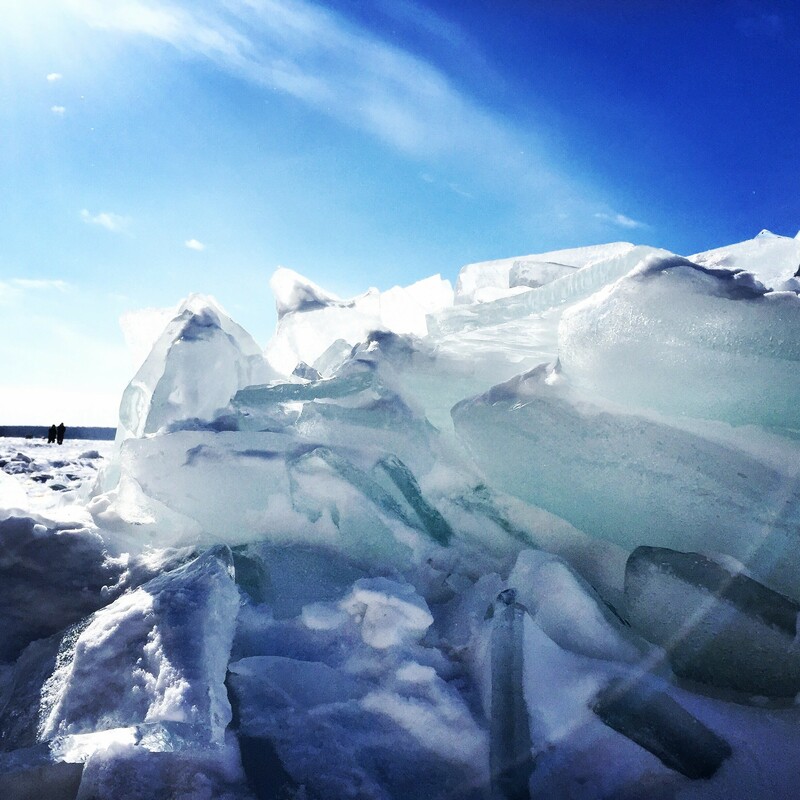 It takes about a mile from the beach to reach the ice caves, and they continue for almost two miles. This year drew new and repeat visitors like Hannah Worthington, who came from Minneapolis Sunday wanting to photograph and explore further after a crowded and cold visit last year. Vater, who is also from Minneapolis, arrived a day before the caves officially opened to get a private viewing. Some of the caves are massive, while others are just big enough to crawl into on your stomach, Vater explained. 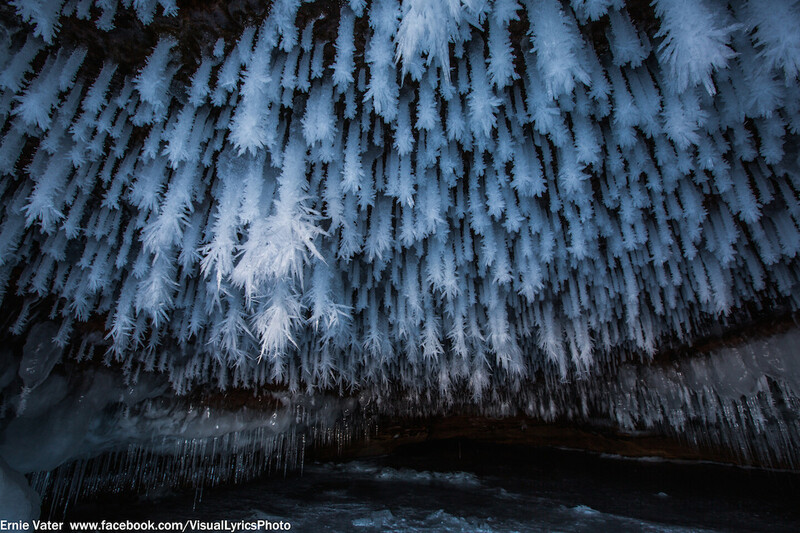 Once he crawled inside one tiny cave, it opened up to reveal thousands of intricate ice formations on the ceiling. 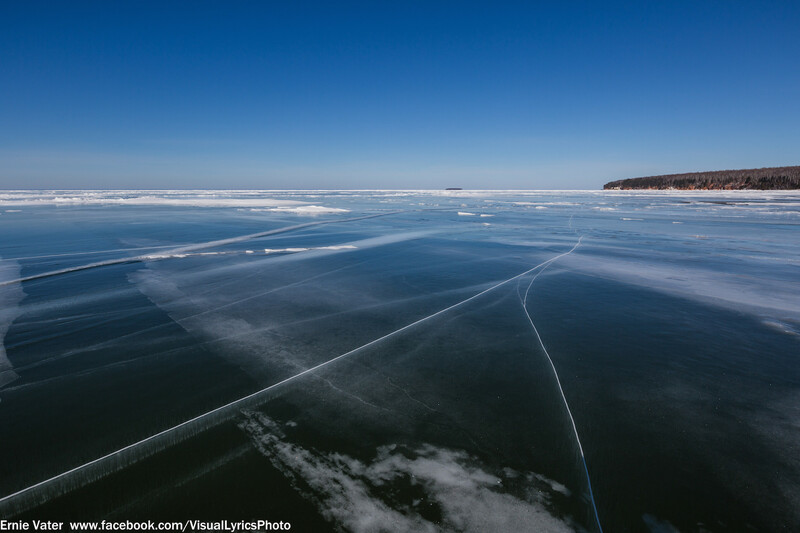 The ice is never considered completely safe, and this year, the lake surface is particularly slippery. Spiked shoes are recommended along with other safety precautions. See the National Park Service site for detailed visiting information and updates on conditions. And below, see more photos from Vater and Worthington from the first open weekend at the ice caves.